Racers practice. Why not speedway firefighters? 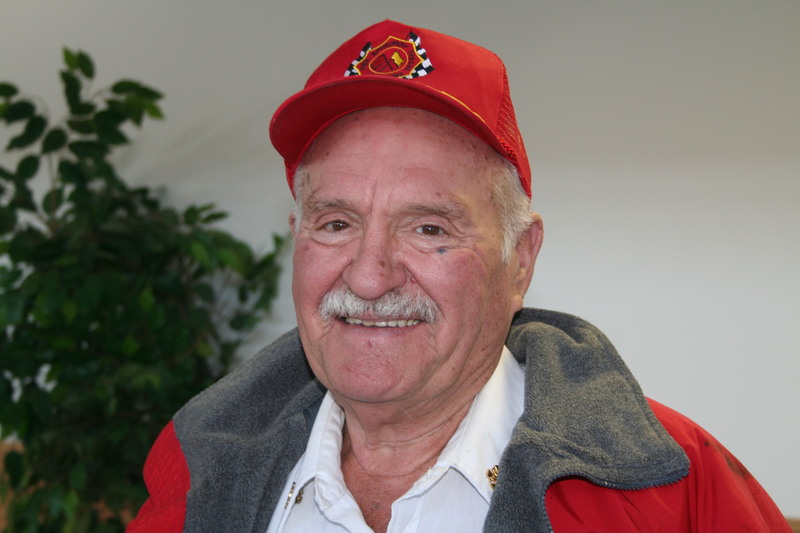 Gil Short founded SFR in 1966. 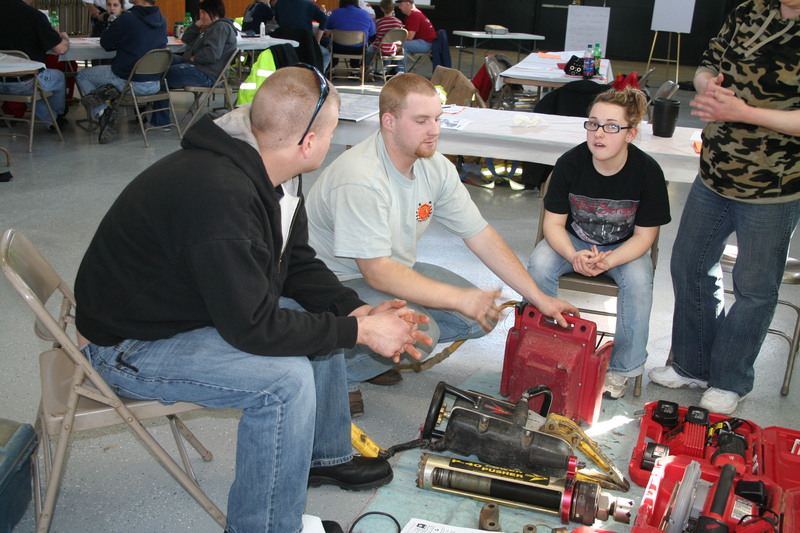 The following photos, all by Phil Roberts, are from the group's March 2010 training seminar. 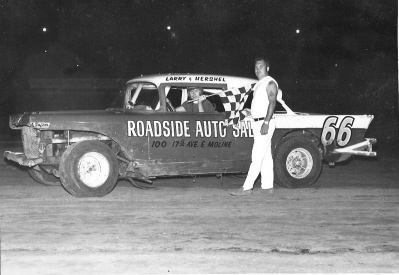 Race drivers appreciate getting some practice laps at the beginning of the racing season. After all, you can get a little rusty over a long winter. 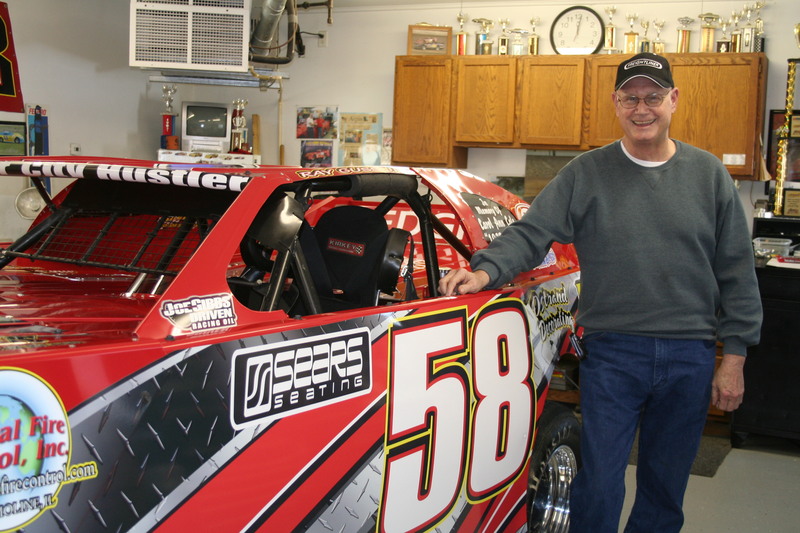 Speedway safety crews, like those with Iowa-based Speedway Fire-Rescue (SFR), also brush up on their skills annually before the green flag waves. 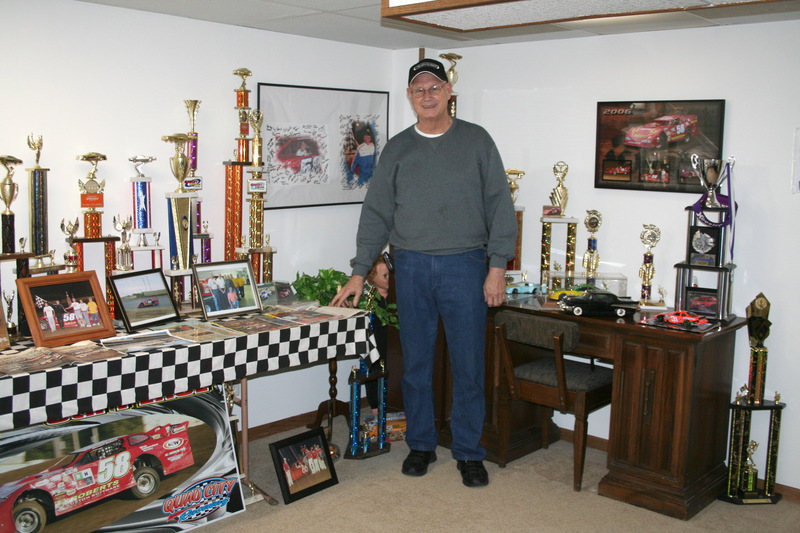 Based in Davenport, Iowa, SFR was established in 1966 by Gil Short, who is still the chief of the all-volunteer group that serves ovals, drag strips and an air show in eastern Iowa and western Illinois. 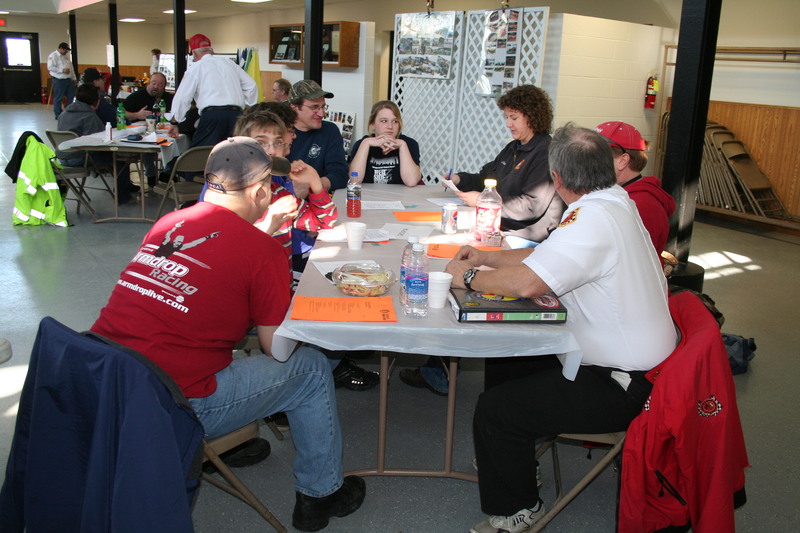 One weekend each March, SFR holds a two-day training conference open to motorsports firefighters, rescuers, medics, officials and anyone else who wants to attend. “I think the biggest reason that we do this is to kind of bring the focus into what actually needs to happen during a situation at any motorsports event,” said SFR Assistant Chief Scott Bohannon. Bohannon, along with SFR Staff Sgt. 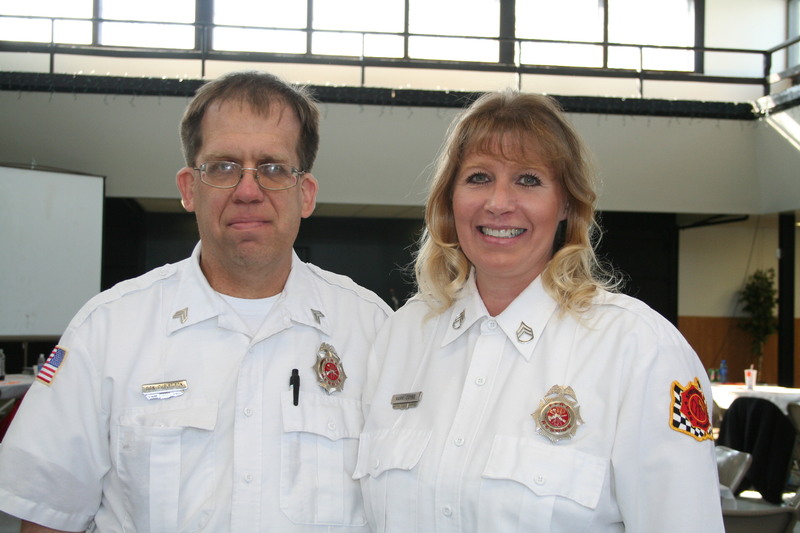 Karri Coyne, training coordinator, and Don Christison, training officer, organized this year’s training, which took place at the Mississippi Valley Fairgrounds in Davenport. For a nominal fee, the students, both men and women, most of whom are with SFR, receive both classroom and hands-on training. Classroom topics include lessons in leadership; rescue tool procedures; appropriate protective gear; head and neck support (HANS) device procedures; flagging, officiating, promoting and insurance principles; media relations; crowd control; assisting ambulance personnel; and tow truck assistance. 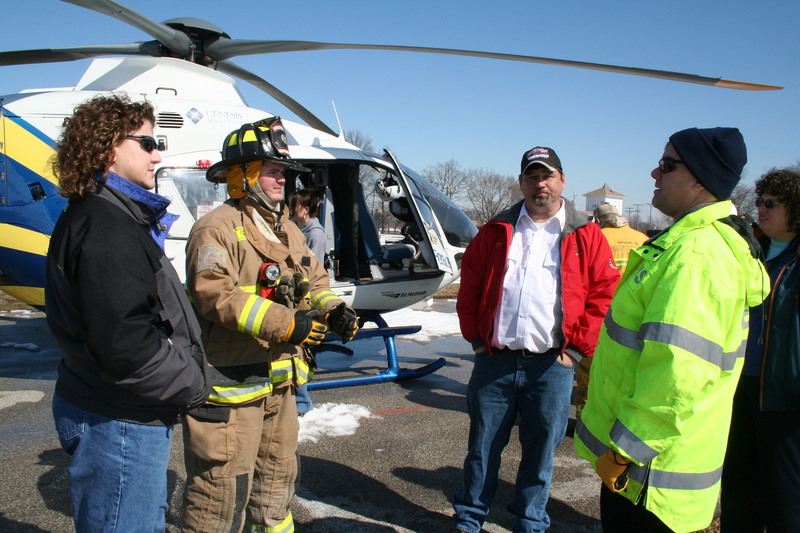 The hands-on training deals with racecar designs and safety, helicopter and ambulance awareness, specialized extrication tools and fire extinguishers. 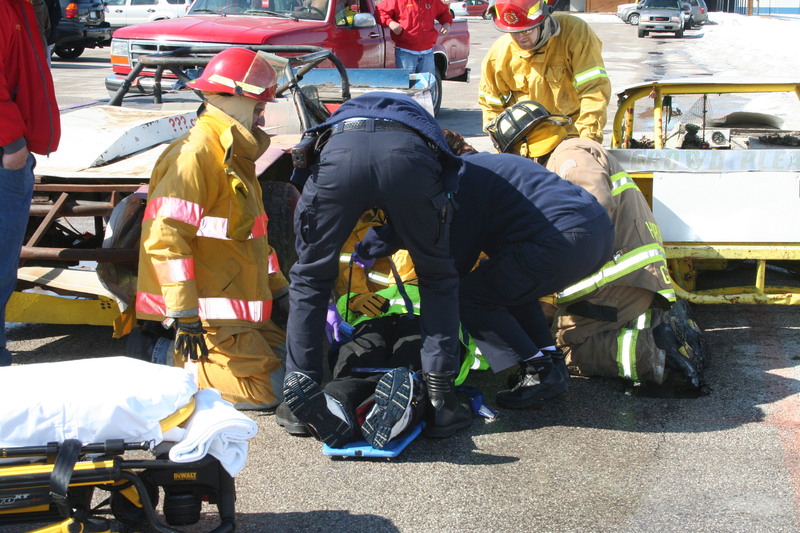 There are also rollover, extrication and car fire scenarios plus a mass casualty scenario. This year, three firefighters – Gene Grueschow, Ryan Gonsior and Lisa Vandermark – all from different departments in Minnesota, attended the conference. Bohannon said the training has paid off. He said SFR volunteers have used fire extinguisher and extrication principles, for example, many times. They look like vertical works of art, spinning in an Iowa breeze. But unlike their tall, propellor-driven cousins that dot the northern Iowa countryside, Windspire wind turbines look right at home on city boulevards, in farm yards and in people’s back yards. As fun as they are to watch, Windspires have an important job to do. They use a natural resource, the wind, to create electricity to supplement the power already being supplied to a home or a business. The Windspire vertical wind turbine was created by a small wind technology company, Mariah Power (mariahpower.com), based in Reno, Nev. It’s manufactured by former autoworkers in Manistee, Mich. The area dealer is Grisham Industries Inc. (grishamind.com), 13609 110th Ave. Davenport. Phone (563) 381-3525. In addition to being a Windspire dealer, Grisham, established in 1986, provides millwright, machining, welding and metal fabricating services mainly to corporate accounts. The company employs 25 people. “This is a very good product,” Grisham Industries owner Vince Grisham says of the Windspire. He became a dealer last fall. Here’s how the Windspire works: Breezes are caught by aluminum airfoils, which spin a rotor. Like airplane wings, the airfoils use the principle of lift to propel the rotor faster. The rotor turns a generator that produces electricity. An inverter then converts it to alternating current. The power is supplied by an underground cable to a home, shop or business, where it can be monitored on a personal computer. If the wind isn’t blowing, the consumer still has a ready supply of energy from the local power utility. Safety controls prevent power surges from the Windspire, and there’s an automatic shutoff if the power grid fails. Because it’s designed for architectural appeal and it’s silent, the folks at Mariah Power say the Windspire can bring wind power close to areas where people live and work. The Windspire comes in a variety of colors and provides power at 120 volts alternating current right now, but Mariah promises other power options in the future. * The rotor, which converts the moving air into rotational mechanical energy. * The generator, which converts the mechanical energy into into electricity. It’s designed for 98 percent efficiency at low rotations per minute. * An Underwriters Laboratory-rated inverter, which converts the electricity to grid-ready 120 volt AC. * The structure, a hinged pole of recycled steel painted with weather-proof paint for easy maintenance. Included are sealed bearings that never need grease. The unit requires a concrete base. The Windspire connects to a dedicated 20-amp breaker at a building’s main electric panel, and the power it provides is used immediately. Briggs says, “The unit will start producing power at 8 mph winds and go all the way up to 35 mph winds. At 35 mph, it does have a braking system in it.” That’s to avoid overheating the internal components. As for Windspire’s annual energy production, the manufacturer says with 12 mph winds it’s 2,000 kilowatt hours (kWh). Kilowatt hours, a unit of energy equal to 1,000 watt hours, are the billing unit for the energy that utilities provide to their customers. The turbine’s instantaneous power rating is 1,200 watts, and the maximum power at 30 mph winds is 1,600 watts. What does a Windspire cost? Briggs says it’s less than $10,000 installed, and rebates may be available that lower the cost further. The price includes the parts; installation, which is done by Grisham in a day; and the connection to the building, which is subcontracted to an electrician. How about payback? Depending on wind conditions, the length of the electrical cable, electricity rates and local incentives, Briggs says the unit can pay for itself in as little as five years. But he says his company has two challenges. Briggs says Grisham is working with potential Windspire buyers to remedy that situation. “We have some helpful suggestions for them as far as a format for (ordinances),” he says. He notes that the company worked with Scott County to get a permit for a Windspire on the Don Hulsing farm, located northeast of the Interstate-80/Interstate-280 interchange. “The other big issue is getting people to understand what the Windspire is,” says Briggs. One misconception, he notes, is that the turbines make noise when they spin. In reality, he says, they are nearly silent. Hulsing’s Windspire, which is visible to motorists on I-80, went in right before winter so he hasn’t yet determined how much money he is saving on power. But he is happy with the unit. “I plan to put in three or four more,” he says. “The typical unit can provide anywhere from one-third to one-fifth of your power needs, depending on America’s estimated power consumption over the year,” according to Briggs. The Windspire’s estimated 20-year life requires no scheduled maintenance. It has a five-year limited warranty. And it really is fun to watch. Copyright 2010 by Phil Roberts, Creative Enterprises. This article appeared in the Country Connection section of The North Scott Press, Eldridge, Iowa, and The Wilton-Durant (Iowa) Advocate News.